Many forms of therapy have been tested, and more are being tested for the treatment of obesity. However, only a few have proven to be effective in causing significant and satisfactory weight loss and reversal of comorbid conditions. From dietary adjustment to exercise to medications to intra-gastric balloon devices to weight loss surgeries, there is no controversy that the best option is surgical. Hypnotherapy has been employed for many years in the treatment of disorders such as anxiety but recently, the use of hypnosis to achieve weight loss in obese individuals is gaining popularity by the day, and many overweight individuals are going for it partly because it is cheaper and non-invasive but not necessarily because it is useful. It is therefore essential that they should have an idea of hypnotherapy, its effect on weight loss and associated disease conditions before spending on this form of therapy. Consciousness is usually defined as a state of wakefulness and awareness of one’s internal and external environment. In hypnosis, the individual is in a state of partial consciousness. He is in a trance (not fully awake), and not fully aware of his internal and external environment. While under hypnosis, an individual can relax and concentrate on a particular thought. When given a specific suggestion, the ability to respond is heightened when under hypnosis. Nevertheless, people under hypnosis are entirely in control and cannot be forced to do anything against their will. A hypnotized person only responds to the suggestion of the hypnotherapists while ignoring other information from the environment. This is a weight loss surgery that combines both restrictive and malabsorptive procedures to achieve weight loss. It involves the reduction of the stomach’s capacity by creating a new smaller pouch while diverting food contents away from the more significant portion of the stomach. The malabsorptive component of the surgery involves alteration of the small intestinal anatomy to ensure that significant part of it is excluded from participating in digestion and absorption of nutrients. Gastric bypass surgery, therefore, put a permanent alteration on your digestive system, makes you eat less quantity of food and reduce the volume of nutrients your intestine can absorb. The overall effect of these is a loss of ≥70% of your excess weight and improvement in comorbid conditions such as diabetes and hypertension. Although there are complications associated with gastric bypass surgery, the overall failure rate is about 10%. Can’t afford Gastric Bypass Surgery? Learn about how Gastric Bypass in Mexico can save you tens of thousands of dollars. Gastric bypass surgery is still a potent tool to lose weight. Learn more today! What is Gastric Bypass Hypnosis? Gastric Sleeve Hypnosis? In gastric bypass hypnosis, a hypnotherapist simulates the entire process of gastric bypass surgery from the time the decision to do surgery is taken to the time the patient leaves the hospital as if he/she has had a gastric bypass done. The hypnosis tries to reprogram the patient’s mind to believe that his/her abdomen is being opened up, the stomach is being reduced and intestine being refashioned and that the stomach is now smaller than before and can only accommodate a small amount of food. You perceive all these steps like a dream. 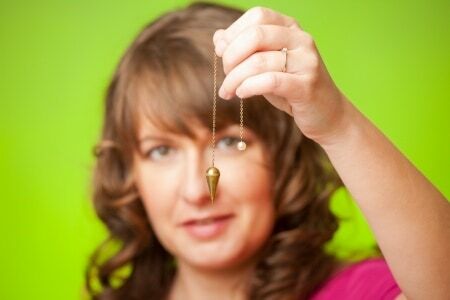 Gastric bypass hypnosis may make you lose weight but only if you can maintain it. The efficacy of gastric bypass hypnosis is dependent on the individual being able to keep this hypnosis. That is, reminding your brain that your stomach is now small and can only take a small amount of food. Reminding your brain that certain foods are unhealthy and you shouldn’t take them. The question is how many people can maintain this? Hypnosis seems like a treatment option for obesity done under a partially conscious state, but its effectiveness relies on the conscious effort of the individual. If you cannot use ordinary motivation to stop unhealthy eating habits and engage in adequate exercise to achieve significant weight loss, then you cannot benefit from hypnosis. If motivational counseling is enough for you to adopt the healthy lifestyle and lose weight, then you don’t need hypnosis. Another essential aspect of gastric bypass surgery is the hormonal effect. After gastric sleeve, certain hunger hormones such as ghrelin are reduced. This hormone decreases your appetite in such a way that you may not need any conscious effort to reduce your calorie intake, and when you take excess, your intestine will only absorb little. Can hypnotherapy do these? NO. Though gastric bypass hypnotherapy can make you lose weight, its effect is usually transient and not comparable to the benefit of an effective weight loss procedure such as the gastric bypass surgery or gastric sleeve surgery. RNY Gastric Bypass is still your best bet? Learn about how Mexico Gastric Bypass can save you tens of thousands of dollars. Learn more today!